The Bridgeview Montessori School's elementary program educates children from ages 6 through 12. The classes are multi-age, with Elementary I (grades 1 to 3) serving ages 6-9 and Elementary II (grades 4 to 6) serving ages 9-12. The student to teacher ratio in our elementary classrooms is no more than 11 to 1. Six to nine year-olds are in a sensitive period for understanding their place in the universe, the world, their community, their family, and their classroom. The curriculum, expressed through the “Great Lessons,” begins with the birth of the universe and all of the matter that exists today and the laws that bind it together. Next, studies include the solar system and the earth’s creation over billions of years. We examine the contributions of ancient humans and human civilizations through the fundamental needs of all humans. In comparing the needs of food, clothing, shelter, safety, and spirituality across cultures and over time, we think about how these basic needs are met. Through the study of ancient civilizations up to the present time, students learn about and focus on our connectedness as people. We also use specific timelines to look at the significance of language and numbers in our daily lives. Students explore where humans have been and learn to see themselves as part of a continuum of all that has come before us. At the Elementary I level, students are exposed to these concepts through a series of impressionistic lessons. 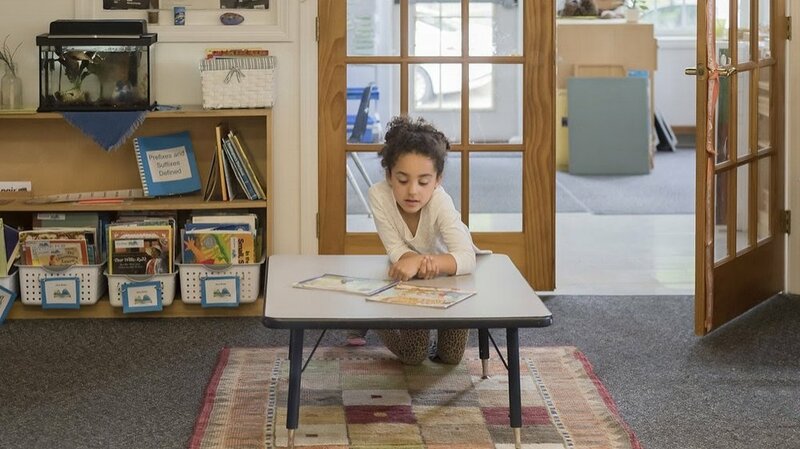 The Elementary I curriculum incorporates best practices in education, including a balanced literacy approach that emphasizes the interconnectedness of reading and writing. Montessori trained teachers guide students in building basic math and language skills with concrete materials and a series of instructed exercises. Our lesson methodology incorporates presentation, recall, and recognition. Our teachers carefully challenge each student according to his or her developmental needs and abilities. The prepared environment and purposeful activities are basic to independent, self-directed learning. Daily uninterrupted work periods allow for a variety of different kinds of work activities. These sequential activities are guided by individual work plans with teacher support and guidance. Students are given presentations individually, in small groups and in larger community groups, and they regularly conference with teachers to discuss progress and goals. Student are also guided to practice self-assessment As students become actively involved in their learning, they become more motivated and reflective. Children aged 9-12 are continuing the transition from concrete to abstract thinking. Our Elementary II program is designed to support this change and guide students as they prepare for the next phase of their academic lives. Although pure abstraction will come later in life, 9-12 year-olds are able to begin conceptualizing abstract ideas. At the EII level, we continue to introduce new concepts with Montessori manipulatives. Students are encouraged to use these materials in order to enrich their understanding. Ours is a Montessori based curriculum in which students are encouraged to plan, prioritize, and manage their own work through the use of daily, weekly, and monthly goals. Teachers initiate lessons to spark interest and guide students toward independent research in many subject areas. Students present their findings through various modalities and participate in self and peer evaluation as an integral part of the process. In this way, we capitalize on students’ interests while they build independence and confidence. The 9-12 year old is in a sensitive period for understanding the complexities of ethical behavior. In EII, we respond to this by giving students greater responsibility in building the classroom community. Students not only work together in groups, but also analyze the group process as it is taking place. Among other activities, students use community meetings to solve problems together and brainstorm ways to take responsibility for classroom management. We also promote a sense of school-wide community through peer mentoring programs. EII students meet with younger Bridgeview Montessori students on a regular basis to form peer mentor relationships. Through these experiences, our students are able to take pride in their accomplishments and act as role models for younger students within our school community. Each of these valuable learning experiences is enhanced in EII by the process of metacognition: learning about learning. All students have individual strengths, as well as individual challenges. 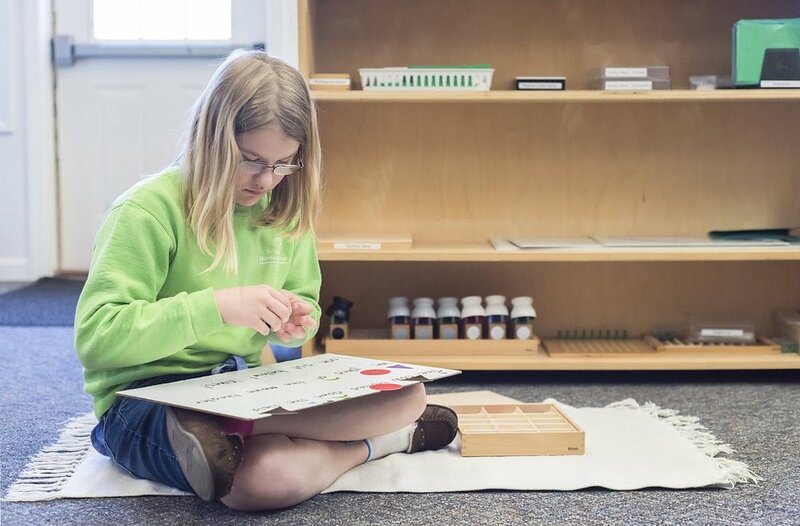 In the Montessori environment, students begin to understand their own learning styles and use them to work with their best strengths. Students are guided to reflect on their own learning in order to monitor their own progress towards personal and group goals.